First Solar will provide Engineering, Procurement and Construction (EPC), and Operations and Maintenance (O&M) services for the project which is to be developed for Jordan’s National Electric Power Company (NEPCO). It will also supply advanced thin film solar PV modules. The PPA is valid for 20 years. 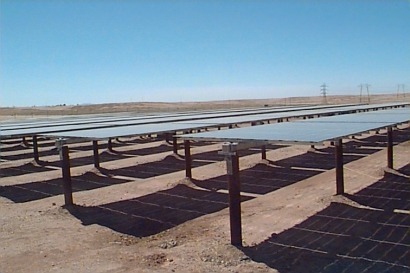 Shams Ma'an Power Generation PSC was established with the aim of pursuing solar energy opportunities in Jordan and the power plant will be the largest facility of its kind in the country. It will generate around one percent of Jordan’s overall capacity supplying 160 million kilowatt hours of electricity per year. This will be sufficient to power over 35,000 average homes. The plant is also part of the ambitious Ma'an Development Area (MDA) initiative in southern Jordan and it will provide an estimated 500 jobs during its construction. The power generated by the plant will displace approximately 90,000 metric tons of carbon dioxide per year. First Solar currently has a pipeline of over 3GW of contracted solar power plants and over 8GW of installed solar capacity worldwide.